Bring any kitchen and bathroom to life when you replace your old floors with resilient wood look tile in Ephrata, PA. When you walk through the doors at Cloister Flooring America, you will immediately notice the broad selection of quality floor coverings from some of the nation’s leading manufacturers. We understand that finding the right type of floor for every room can prove complicated, so we encourage you to bring in a copy of your design plan. The character and charm of hardwood flooring are hard to match, and many of our customers are interested in creating a unique look for places like bathrooms and basements. When exposed to higher levels of moisture, natural wood species expand and contract, leading to warping and baseboard damage. We can now offer you a solution through a revolutionary manufacturing process involving traditional tile and advanced photo imaging. Our selection of tile includes products with the look and feel of natural wood. Each tile and plank is resistant to changes in temperature and moisture, and they make heating and cooling the room more efficient. When you collaborate with an experienced design professional, you can cover more of your floor that you ever thought possible. Decorators and builders have been using tile in homes and commercial establishments for years. Our wood plank porcelain tile takes every design in a new direction when you consider the durability and resiliency that it affords. You can now enjoy the durability and versatility of tile in places like your kitchen. Our wood plank ceramic tile is designed to match your bathroom cabinets and the paneling on your basement walls. 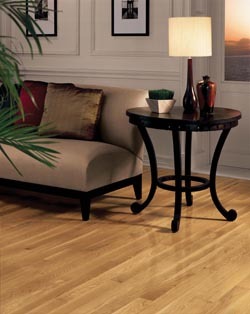 Our flooring store makes home renovation and commercial decoration even easier for local clients. With a combination of flooring styles, your home can become a destination for family and friends. Our selection of ceramic wood tile and porcelain tile, with installation by skilled installers, can serve you well for many years. The water resistance this product provides depends on proper grouting and sealing, so choose a team that specializes in this type of flooring for greater success. Our installation team has the right tools and training for this type of flooring. They have installed tile in a broad array of homes and businesses, so they understand how to get the best fit possible in any location. Start a conversation about your ideas for a new kitchen today, and make the most of this opportunity. Contact us to schedule a consultation with a design specialist who understands the value of wood look tile. We proudly serve customers in Ephrata, Denver, Akron, Brickerville, Adamstown, Pennsylvania, and the surrounding communities.